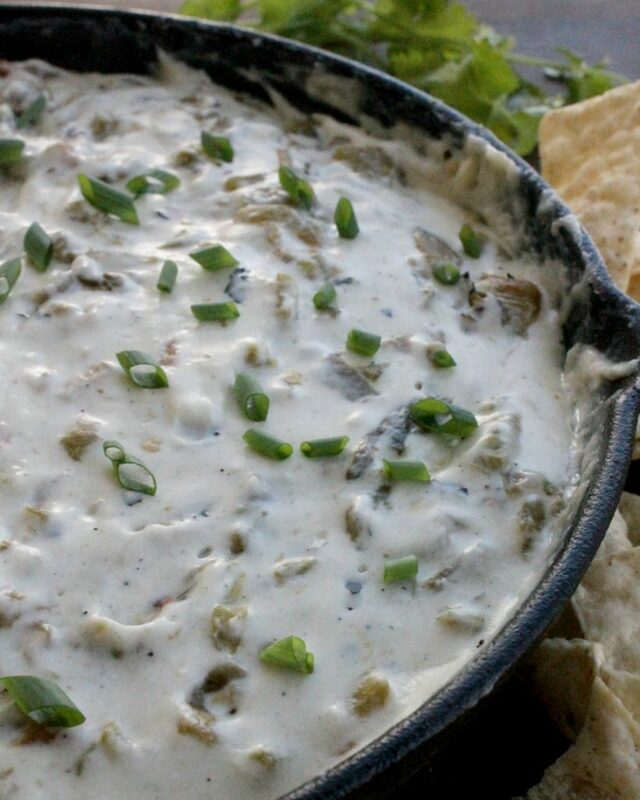 Hatch Chile Cheese Dip is the perfect rich and spicy appetizer for your next football party or get together. It’s hard not to absolutely love this dip. Enjoy! 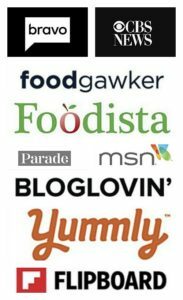 Disclosure: This a sponsored post in partnership with Ralphs. As always, all opinions are mine and mine alone. One of my favorite smells EVAH is the aroma of chile roasting. It takes me back to my mom’s house and simpler times. The other day, I thought that I had died and gone to “chile heaven” at Ralphs’ Hatch Chile Roasting Event. 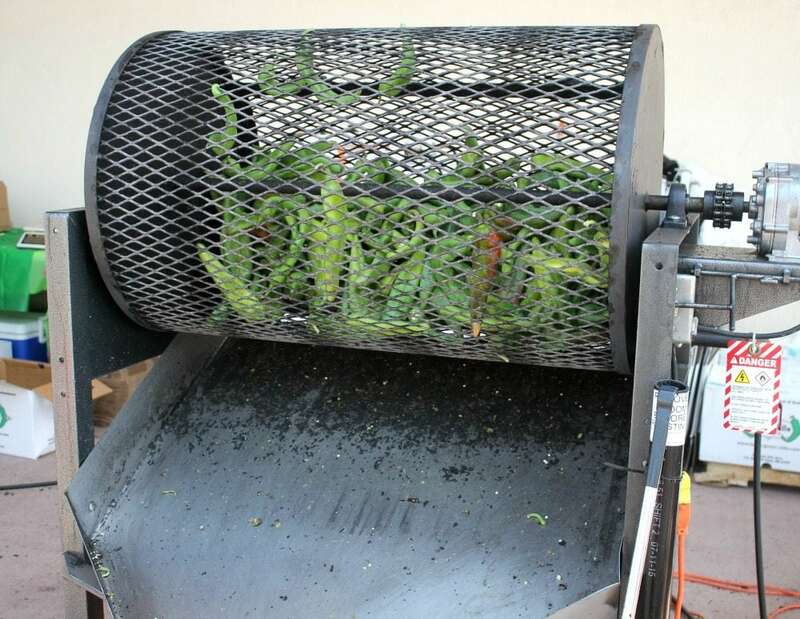 Every weekend in August, Ralphs is hosting hatch chile roasting events all throughout Southern California. LOOK HERE to see if your local store is having the event. You can order ONLINE. Or, you can show up, put in your order, shop at the store, and come on back to a box of already roasted hatch chiles. Warning: if you choose the latter, there might be a wait. These New Mexican beauties are only available once a year. That’s why you have to jump on this now. 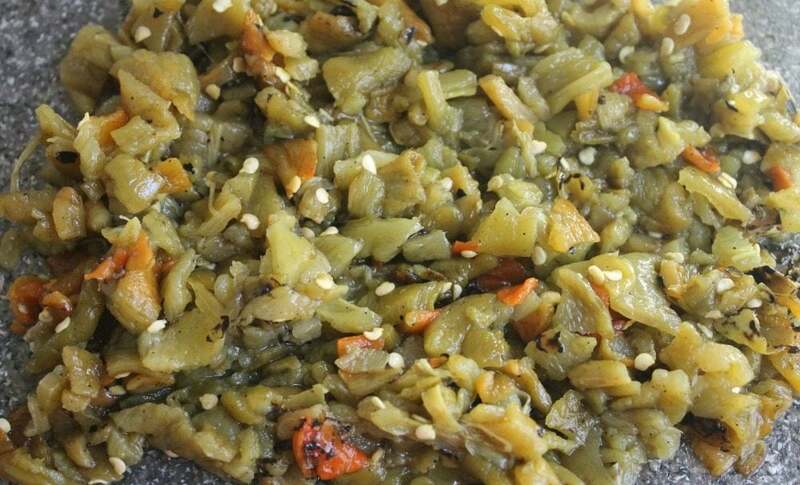 If you have never had a hatch chile, you’re in for a treat. Look for the tent at the event for a sample of something yummy. 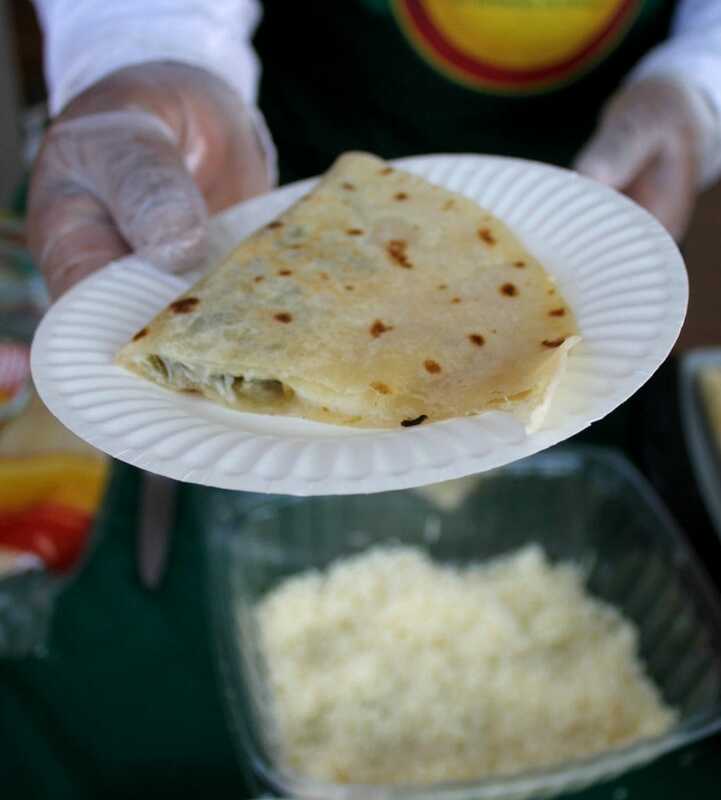 They had hatch chile quesadillas at the event I went to. Score! I love samples! 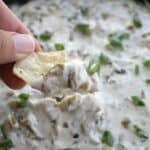 With my box of roasted goodies, I made a warm Hatch Chile Cheese Dip that will be the hit of any gathering. As you all know, I’m a big football fan, and the season is back! Squeal!! 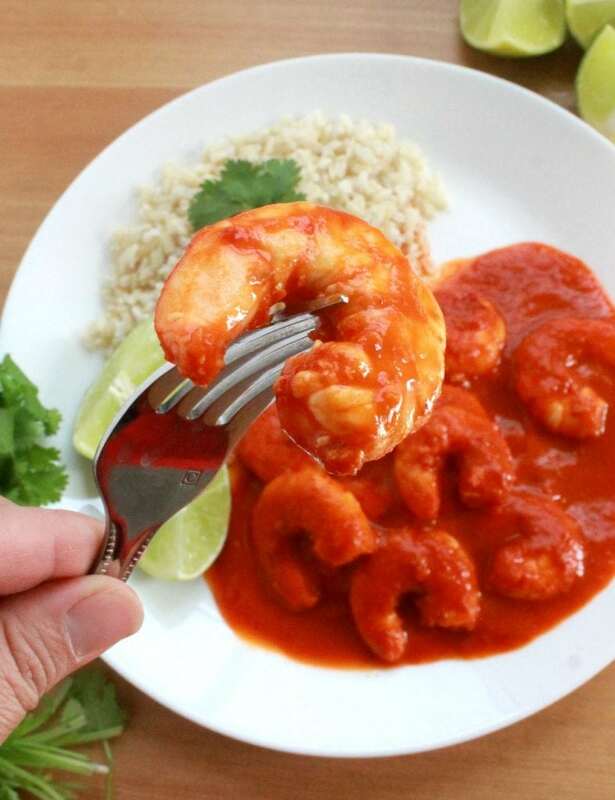 This appetizer is perfect for Sunday football. The Hatch Chile Cheese Dip starts with the roux. 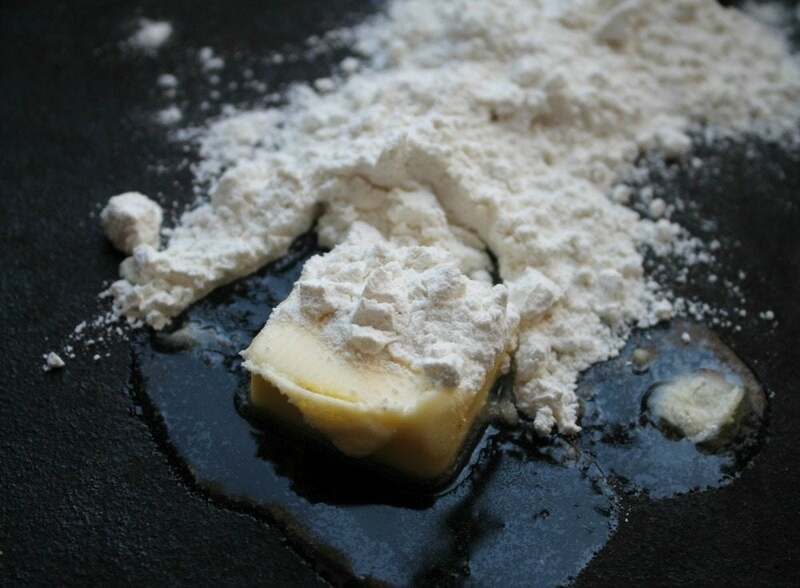 Butter and flour in a pan. Note to the smart cook: To make this recipe, have all the ingredients ready to go. It cooks up fast. 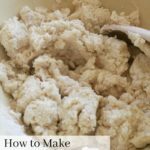 With your whisk, combine the the butter and flour as best you can. Do you see how the mixture is kinda bubbling? Time to add the milk SLOWLY. It takes a lot of whisking to get the lumps out. Then add the cheese. I’m adding cream cheese and shredded Monterey Jack. More whisking and more whisking until smooth. Lastly, add diced hatch chiles to the cheese mixture. With a spatula, mix everything. Garnish with chopped green onions. 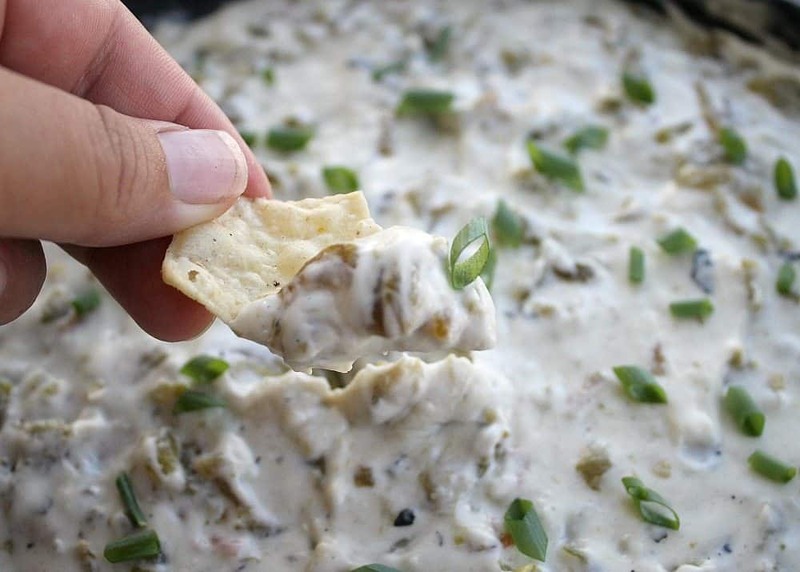 Serve your Hatch Chile Cheese Dip with tortilla chips. Spicy and rich. It’s hard not to absolutely love this dip. Enjoy! In a large skillet, melt butter and flour. 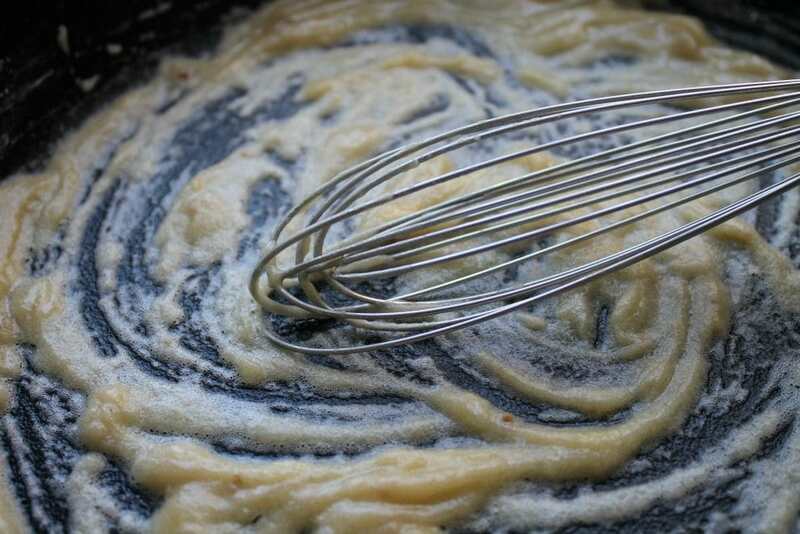 Whisk to make a paste. Cook for 1-2 minutes or until it starts to bubble. 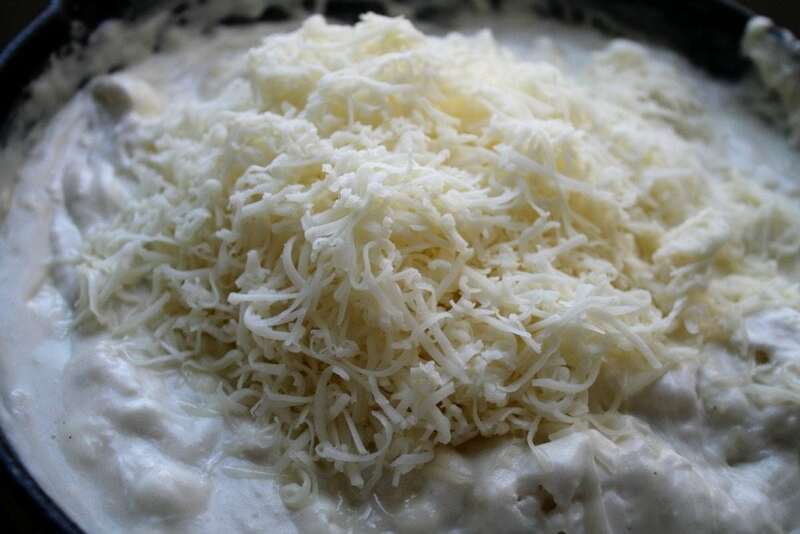 Add salt, garlic powder, cream cheese, and shredded cheese. With a spatula, gently mix until smooth. 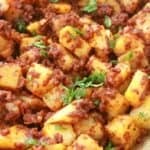 Allow to gently come to boil, whisking frequently, or until slightly thickened. Garnish with green onions and serve with chips. 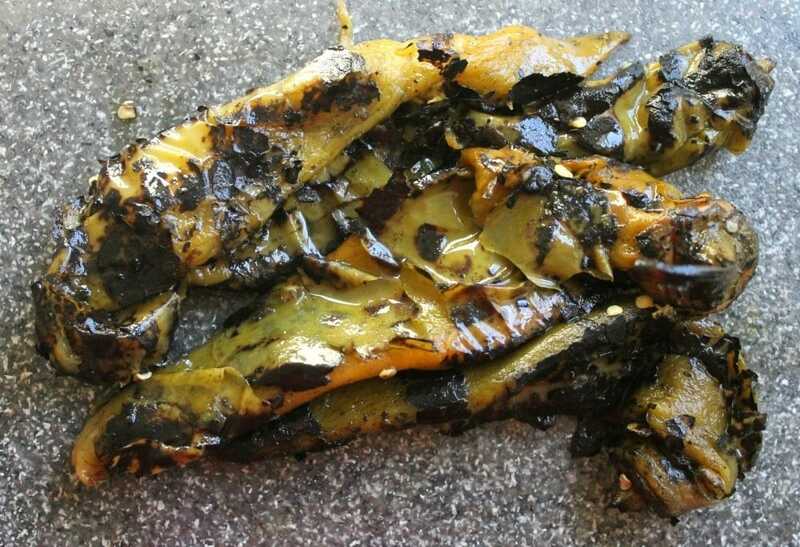 What’s your favorite Hatch Chile recipe? OMG! 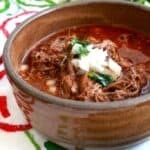 I can almost smell those chilies! That looks incredible! Hope you do. This dip is slightly addictive. 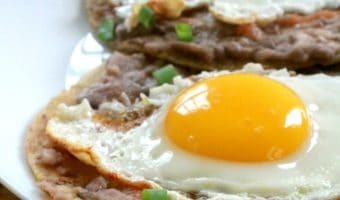 Oh my, this recipe looks and sounds delicious! Yum! I LOOOOOVE Hatch Chilies! 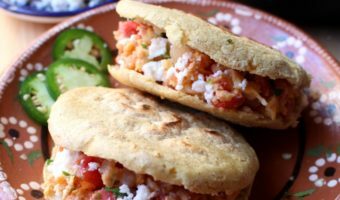 They are so good and so full of flavor! This dip sounds like I need to have it right now! You so should. You’re going to love this dip. Looks fantastic, will definitely save and make for football soon! Made this and roasted the Hatch chiles myself, added diced roma tomatoes, the bomb!